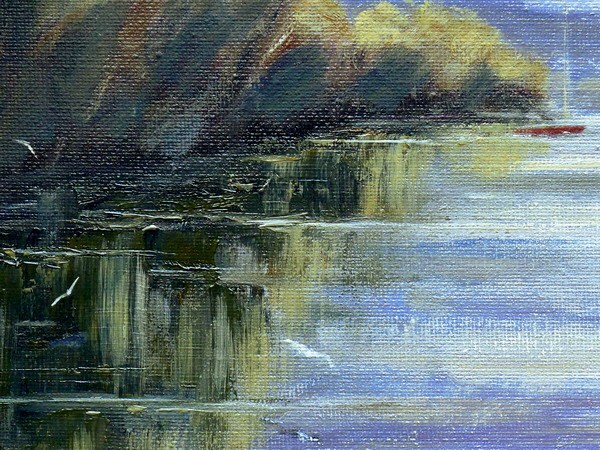 A painting of Cardigan, and the wonderful river Teifi that flows through it. 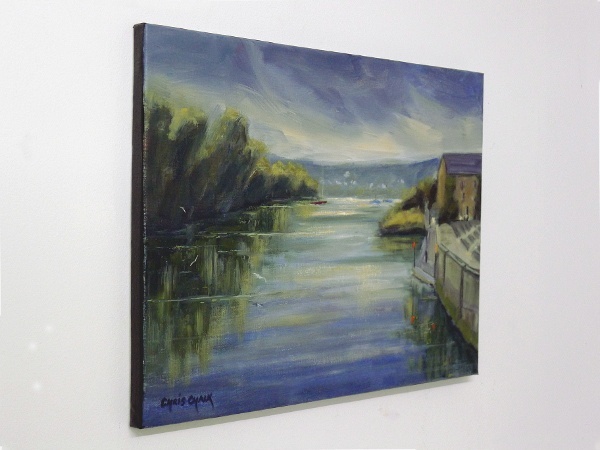 You can see Prince Charles quay on the right of this painting, a wonderful place to just relax and watch the river Teifi pass by, ..keep your eye on your chips though... those seagulls are very keen. 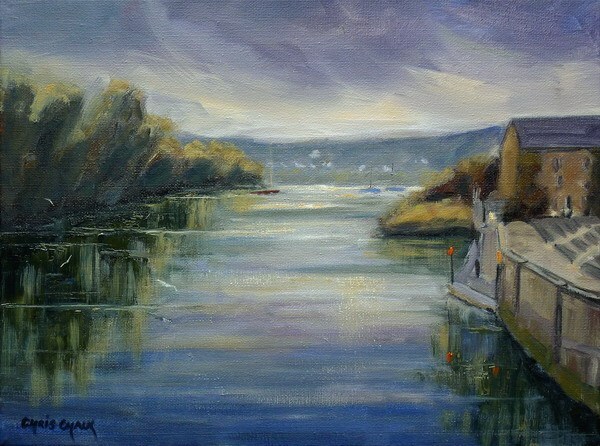 "Quiet Reflection, River Teifi at Cardigan Bridge"